This is a picture I *think* I saw in FB or was it Yahoo? I can't remember where I saw it...uh oh. Hubby liked it so I copied it. What do you see FIRST when you look at it? 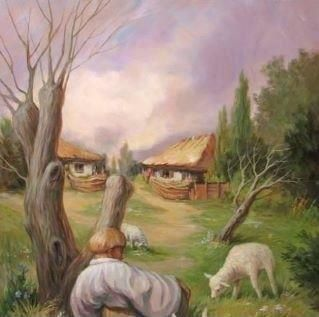 Do you see the face first, maybe the boy or the houses? Parang hindi ko makita yung face ah! hehe.. actually, it took me more time to see the boy. Oh boy! Lol! Busy-ng busy ka nga Huling, it's so obvious! Daming paid opps, daming blessings. Pautang nga! Ha ha.. Happy TGIF! Enjoy the weekend!